As David Koch – the wealthy industrialist whose company is responsible for the dumping of a three-storey high city block sized pile of petroleum coke (a byproduct of oil sands refining) in Detroit’s Assumption Park – funds a new plaza at New York’s Metropolitan Museum of Art, I’m prompted to wonder what we in the UK arts sector will get up to in response to Government calls for reductions in public subsidy to be replaced with corporate and personal philanthropy, as per the American model. Viewing the ongoing hubbub around BP’s ongoing sponsorship of our major institutions, Tate, the British Museum, the National Portrait Gallery and the Royal Opera House, how can we finance our work without sparking quite such a furor? And anyway, how much do we want to benefit a multinational? In The Arts Catalyst latest commission with FACT, Liverpool, artist group HeHe (Heiko Hansen and Helen Evans) propose a radical solution: cut out the middle man, let’s extract our own fossil fuels. 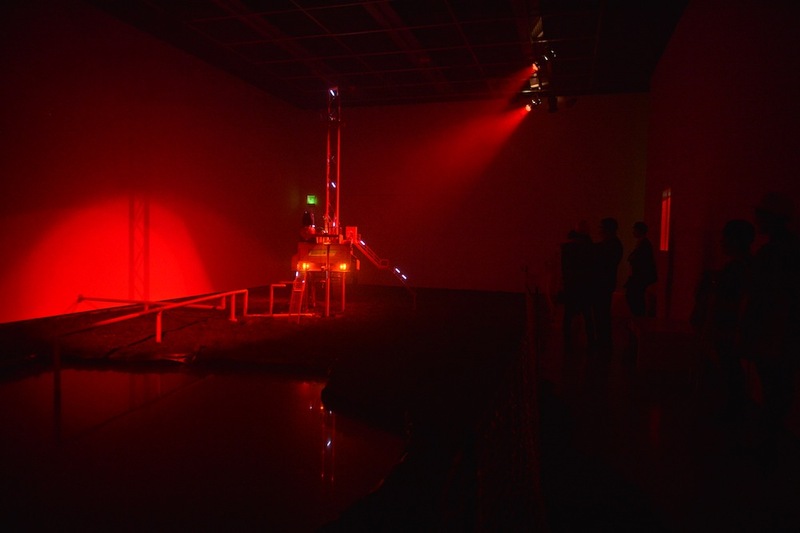 In FACT’s ground floor Gallery 1, HeHe have begun initial exploratory tests to extract shale gas through an innovative process known as fracking, turning the space into an experimental drilling site. Fracking is short for ‘hydraulic fracturing’: pumping a highly pressurised mixture of water, sand and chemicals underground to extract gas. The process opens fissures in subterranean rocks, releasing the gas trapped several miles beneath the earth’s surface. HeHe’s initial explorations have already discovered that the area directly beneath FACT consists of Holywell shale and might hold at least 20 trillion cubic feet of gas. This energy will be used to ensure the future operation of FACT and the energy created will be exported directly to the local community. Whilst fracking is a controversial procedure which has caused mass public debate in the US and currently in Britain – and certainly there will be some unquantifiable subterranean noise and minor ground tremors in the gallery, as well as probable minor explosions and effluent discharge – it’s all being done with public safety and public benefit as a priority. HeHe’s Fracking Futures ties into a long history of mining and extraction in northwest England, and looks to the contemporary context wherein sites around Blackpool, Manchester and Southport have been, or are currently, in the process of being approved for fracking. 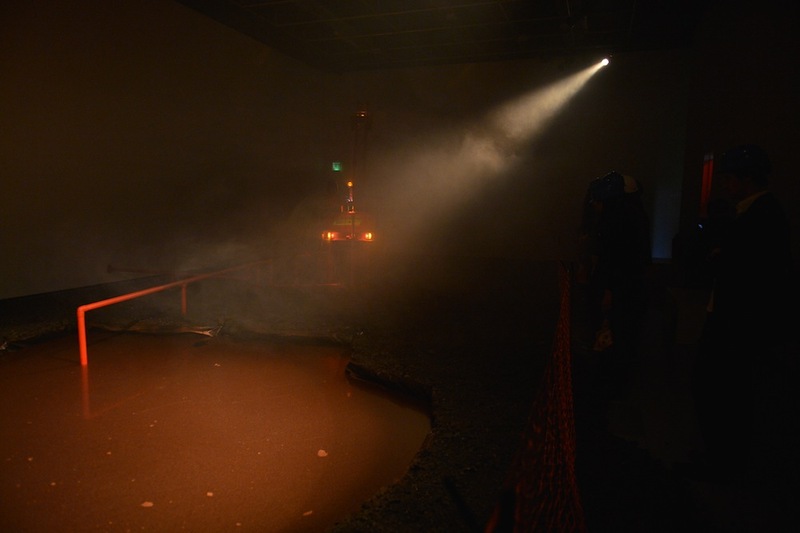 This artists’ installation aims to draw attention to current debates surrounding the process, both economic and environmental.